A thermostat such as those manufactured by Lux is an indispensable part of any central heating system. 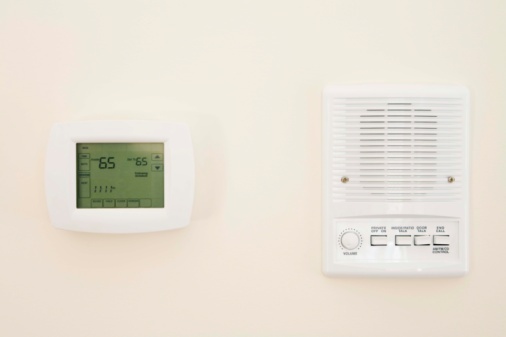 Thermostats allow homeowners to specify the temperature at which they want to keep their home and it activates and deactivates the furnace to keep the home at that temperature. 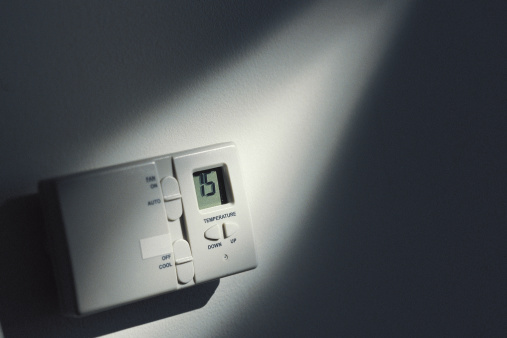 Should your thermostat fail to activate the furnace when it should, the issue can typically be addressed and resolved using a basic troubleshooting procedure. The first step to troubleshooting an issue with a thermostat that does not activate your heater is to verify that the thermostat is set properly. First, ensure the thermostat's system switch -- located on most Lux thermostats on the bottom right side of the thermostat and behind the button panel door -- is set to "heat" rather than "cool" or "off." The fan switch, located just to the left of the system switch, should be set to "auto" rather than "on." After adjusting these settings, see if the furnace activates after a few minutes. Another important troubleshooting step for the thermostat e is to verify the thermostat's temperature setting is high enough to activate the furnace. In order to turn the furnace on, the thermostat's temperature setting needs to be well above the air temperature in the home. Use the "up" key to the right of the Lux thermostat's display to raise the thermostat's temperature. Give the furnace a few minutes to kick on. If the above techniques do not succeed in activating the furnace, it is possible that your Lux furnace has no electrical power. If there is no text displaying on the thermostat's LCD display, or if the thermostat is slow to respond to key commands, replace the batteries. Lux thermostats use two AA batteries installed on the back of the detachable thermostat face. After replacing the batteries, activate the system and specify a temperature to see if the furnace returns to normal working order. In the failure of these troubleshooting steps, the actual problem could be elsewhere. The Lux thermostat may in fact be working fine, but a problem with the furnace's gas burner or pilot light is preventing the furnace from actually firing. Similarly, an interruption in service from your gas provider may prevent the gas burner from igniting. Check the gas valve feeding your furnace to make sure it is open. Also contact your gas provider to make sure your service has not been interrupted in any way. If there is still no response from the furnace, you will likely need to contact Lux product support or a furnace repair specialist to address the issue from here.